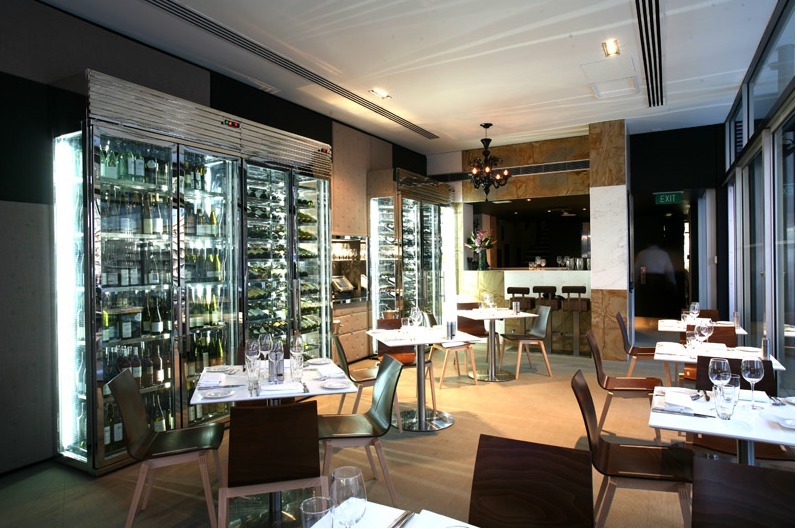 Cellar Solutions offers the foodservice industry tools, equipment and support for wine preservation. The wine market has undisputedly grown in the Philippines, with more suppliers and restaurants providing different avenues to appreciate this liquid gold. That appreciation is heightened by the care provided for the wines, ensuring guests enjoy every glass the way it was intended by the winemaker. However, optimum pleasure for a glass of wine can only be achieved through proper storage and service. This poses a particular challenge, especially here in the Philippines with its tropical climate. Cellar Solutions, the authority on wine preservation systems and solutions, opened its first showroom in the Philippines to address this need. Established in 2014 by wine aficionados Eric and Charmaine Wang, Cellar Solutions is the first of its kind in the Philippines. It works with a team of professionals and represents global brands in bringing international-standard wine cellar technology to the country. Keen on fulfilling his vision of making proper wine storage more accessible to Filipinos and after a thread of email exchanges, Eric was named exclusive distributor of Vintec in the Philippines through his company, Cellar Solutions. 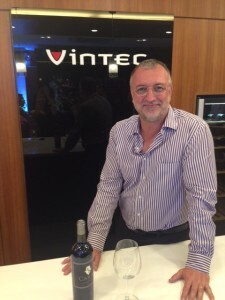 The business led to a close relationship with Vintec founding partner Laurent Ducourneau, who initially imported and distributed Transtherm wine cabinets to the Southeast Asian market. With his 20 years of market experience, he created Vintec to cater to the specific demands of the Asia Pacific region. A Bordeaux native, Laurent Ducourneau has an extensive knowledge in and solid business ties with the Bordeaux wine industry. Vintec was created in Bordeaux, France in 1995, under his helm to become what it is today. He is currently based in Singapore. With Laurent’s insight, Vintec has developed a lineup of stylish wine cabinets with various features, bottle capacities, and shelving designs to meet various requirements and purposes. At present, the brand is available in Hong Kong, China, Australia, New Zealand, Singapore, and the Philippines, among others. 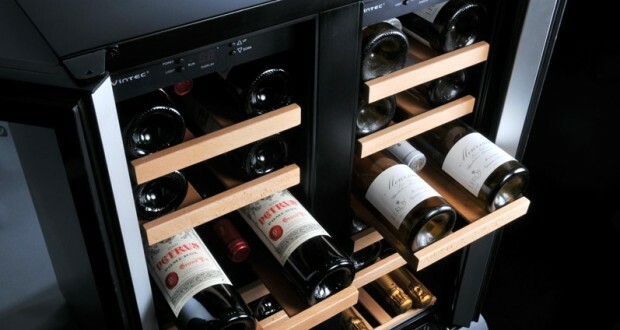 It is the top-selling wine cabinet in most of the countries it is distributed in. Since its birth in Bordeaux, France in 1995, Vintec has always been closely associated with the wine industry worldwide. 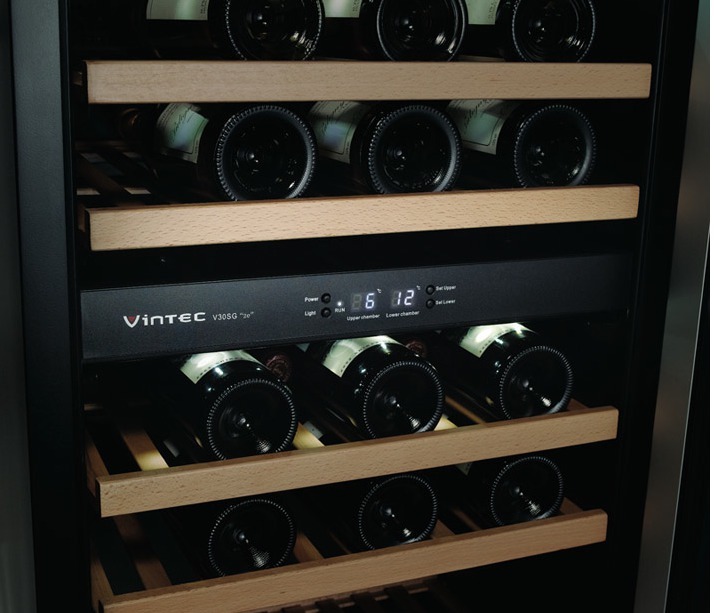 The first-ever Vintec wine cabinet in classic range came out of the Danish facility in 1997. Vintec cellars have smaller bottle capacities and a wider temperature range compared to the bulkier European-made standard cellars. 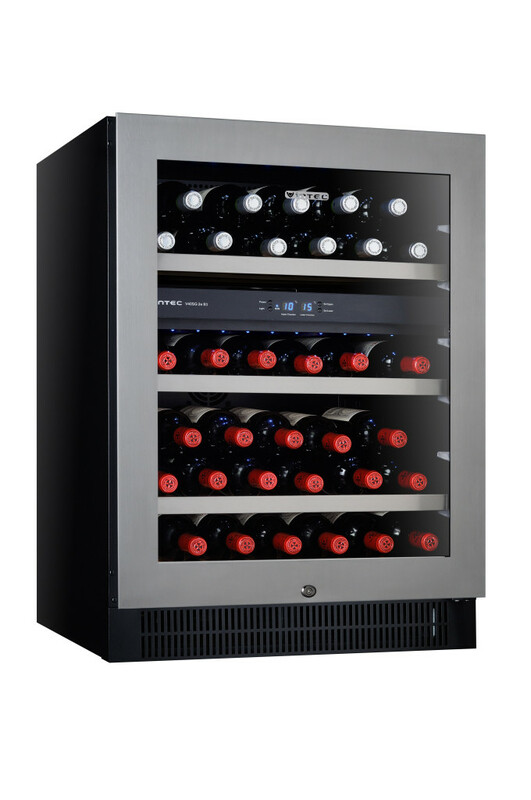 Vintec V155SGeS3 can fit 166 bottles at temperatures that range from 6 -18 degrees centigrade. Vintec is the anchor brand of the company, but the Wangs point out that Cellar Solutions is not a mere retailer but is a total solutions provider for wine preservation needs, the first of its kind in the country. 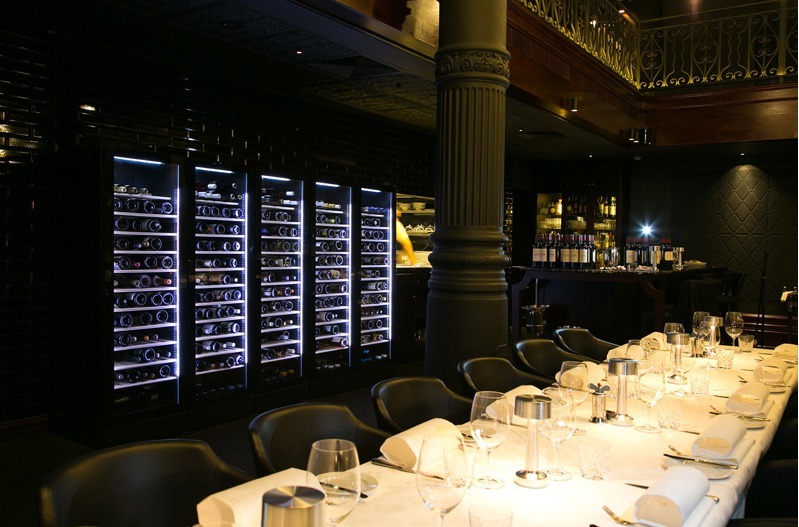 Cellar Solutions works with a team of professionals and represents global brands in bringing international-standard wine cellar technology to the Philippines. It is the main provider of wine preservation systems to the grand resort and casino City of Dreams Manila, all branches of luxury wine store Wine Story, wine-haven Planet Grapes, natural food and product store Healthy Options, international restaurant Bistro du Vin, and more. “We want to work with retailers and wine lovers so we decided to focus on solutions for both commercial and residential establishments,” Cellar Solutions owners Eric and Charmaine Wang stated. In addition to Vintec, Cellar Solutions is also the distributor of world-renown brands for wine storage and preservation: Transtherm, WhisperKool, Label Skin, Coravin, and Peugeot. “When you come to the showroom, expect to answer questions about what kind of wine drinker you are and what wine preferences you have,” says Charmaine, Executive Vice President at Cellar Solutions. “It is quite personal, but that’s how we can customize the wine cellar fit for your own style.” Owners of Vintec wine cellars also automatically become members of The Vintec Club. Exclusive benefits include special industry updates, wine reviews, special offers and private invitations to wine events and gatherings. Definitely with the heightened appreciation for wine in the market and a demand for proper wine storage and service, Cellar Solutions is able to provide the much needed support and solutions for the growing wine community in the Philippines.